Many companies in the San Diego area know that document destruction and document control are very important, but it can also be confusing what exactly is required to be shredded in a secure manner. There’s a myriad of possible documents that need to be controlled and the following list, provided by Southern California Shredding, should help to make clear some of the more common documents that are crucial to shred. It is vital that companies identify their necessities for document destruction to mitigate legal and regulatory liability. These are just a small number of the types of documents and information that require secure document destruction. Companies in San Diego looking for professional document destruction services need look no further than Southern California Shredding for secure and affordable services. Financial Statements: Any type of financial documentation contains confidential financial data. Negligent release of this information can mean legal issues with many financial regulatory agencies. Medical Records: HIPAA maintains strict rules around medical confidentiality. Patients can sue for damages caused by breach of medical confidentiality, and that can cost a lot of money to solve. Legal Documents: Court documents and other legal documents are highly restricted. Court cases can easily be lost if legal documents are somehow negligently released. Receipts & Invoices: A number of confidential financial secrets can be discerned from receipts and invoices. It is in the interest of all parties to keep these documents secure. Payroll Records: As part of the group of financial documents that need to be tightly controlled, payroll records can be used for identity theft, and their protection is vital to protecting employees and employers. 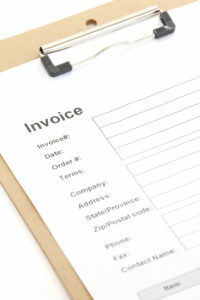 Bank/Credit Card Statements: Bank statements are vital and contain a lot of sensitive data. Their protection is of crucial importance. Tax Records: Accidental release of tax records can lead to a lot of trouble with the IRS and can also be a cause of identity theft. Contracts: Contracts, especially contracts that are not currently active anymore, can contain sensitive data about any number of topics. It is important and safe to destroy these documents securely. Loan Documents: Documentation about loans can be used to discern financial data and can also be used in various forms of corporate espionage. Personnel Files: Personnel files often contain a lot of sensitive data about employees. Companies are liable to be sued if they lose control of this data. Canceled/Voided Checks: Voided checks can possibly be used for identity theft, and even if they are voided, it is not a guarantee that they are secure. Profit/Loss Statements: The sensitive data in profit/loss statements can not only leave a company liable for damages but can damage their finances if the wrong people find these documents. Business Plans: Though companies may not face legal trouble, accidental release of business plans can be a vital resource to competitors. Inventory/Price Lists: Prices and inventories can easily be used in strategizing. Retail companies will find their competitors undercutting them quickly if this information is breached. Bills: Like all financial documents, bills can be used to discern sensitive financial data, which can cause major legal issues. Contact our office in the San Diego area for more information on document destruction with Southern California Shredding.